Oracle appreciates companies that are well prepared, organized and have a clear vision. Now that the new year is underway, Oracle sales teams are ramping up their efforts for a strong May 31st year-end close. They are busy reviewing all their assigned accounts, identifying expiring deals and potential renewals, and looking for leverage on opportunities as they develop their sales strategy and approach. For Oracle customers, this means that now is the time to start preparing for any upcoming purchases or potential audits, especially if you have an expiring ULA or cloud agreement that you do not plan to renew. Many customers approaching Oracle’s fiscal year-end that are deep into negotiations have found themselves being pressured into a sale by Oracle to avoid an audit. These customers are often in an unenviable situation, lacking negotiation leverage and unsure of how best to proceed. In most cases, these customers do not have a well-thought-out negotiation plan and Oracle is boxing them into a corner to drive a sale, leaving them very concerned and frustrated. The only way to avoid this scenario is to conduct the necessary due diligence and develop a plan that identifies leverage points and includes options. A common mistake many companies make concerns timing. They believe they only need a month or two to negotiate a deal and they hold off conducting any preparation activities until March or April. They are then caught off guard when Oracle has a refined sales approach which they begin executing in late January or early February. The initial sales calls and emails may seem innocuous, but Oracle is working diligently behind the scenes and determining when and how they will gradually ramp up sales pressure at a time of their choosing. To properly prepare for a year-end push, plan ideally in mid-to-late January or early February. All is certainly not lost for customers who start in March, but time does start to work against them the later they begin preparation, and it can get extremely challenging come April. This activity takes more time than most realize and often discrepancies exist that must be resolved, or documentation is missing that must be found. Oracle will have its view of your entitlements which may differ from what you think. Not knowing your entitlements and having the documentation to support your view puts you at a significant disadvantage when negotiations begin. Next is to identify your deployments – both products and quantities – and do not assume that this equals your entitlements. This activity can be very time consuming if records are not accurately kept and regularly updated. Many IT teams are too busy with other activities and so, when an inquiry is made to actually count deployments, IT teams just default to the entitlements, or they have their own spreadsheets for tracking that have not been validated. This is what leads to trouble! Don’t just assume you think you know your deployments -- actually count them. I recommend not sharing the license entitlements from the agreement review with IT teams to remove this temptation and force them to actually count the deployments. These two activities will then allow you to identify potential compliance gaps and audit risk exposure where under-licensing exists, as well as optimization opportunities where over-licensing exists. Finally, you should gather potential future requirements for the next 12, 24, and 36 months, to provide an idea of potential future purchases that you may want to consider. This should also include future relationship plans. For example, you may be considering decommissioning licenses, migrating on-premise licenses to the Cloud, or renewing an expiring ULA. This stage in the process is about defining your organizational goals as it relates to Oracle and how you envision the longer-term relationship evolving. Now that you have done the hard work of gathering all the necessary data, you can begin to analyze different options that allow you to achieve your desired goals. Identify negotiation leverage – such as willingness to move to third-party support, purchase Oracle Cloud solutions, or bring forward future demand for a large on-premise purchase. Also consider addressing any compliance gaps and optimizing over-licensing areas identified earlier. Commercial term goals should also be included as part of this analysis phase. Once you have a clear and accurate picture of your current state, and you’ve defined your relationship goals and identified your leverage points, you can develop a negotiation strategy and approach. This should include identifying the roles and responsibilities of your negotiation team, who you want to approach at Oracle, when you want to approach them, how to position your requirements, points of escalation, tone of communication, etc. In other words, defining how you envision the negotiation phase playing out over the coming weeks and months leading to contract execution. Also important to keep in mind is that Oracle will be pressuring customers to execute a deal by mid-May (not May 31) so be sure to build that into your plan. There is no harm in going to the end of May, if necessary, but understand Oracle will most likely be driving you to conclusion sooner, and being in a position to be a good partner in doing so may improve your final deal. Plan to spend a couple of months in conducting negotiation preparation activities. Even if you wind up finishing early, you can then be confident that you are well prepared for the upcoming negotiations. There is no worse feeling than being unprepared and in a reactionary mode with Oracle, where they may be dictating terms and threatening audits. Being in a position to proactively engage Oracle at a time and place of your choosing, and dictating the communication cadence and negotiation process, will significantly enhance your ability to achieve your negotiation goals, as well as reduce your stress levels. On the flip side, Oracle appreciates companies that are well prepared, organized and have a clear vision. This allows Oracle to focus their efforts on how their solutions will best meet a company’s requirements to achieve its long-term vision. 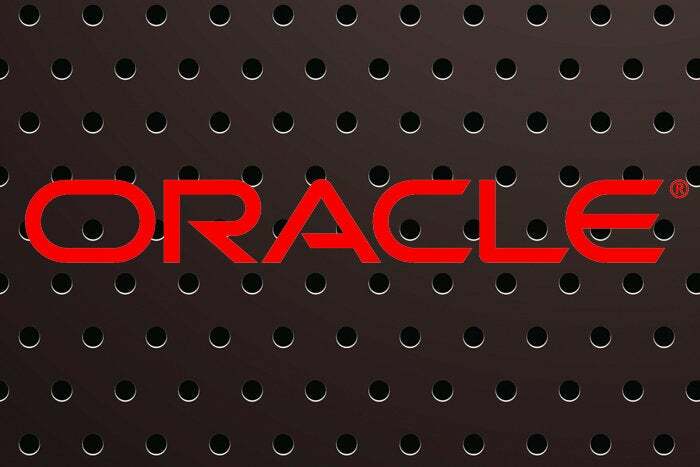 This preparedness also greatly reduces the time Oracle must spend raising and negotiating compliance issues that threaten to strain the relationship, and instead allows for a much more productive dialogue on the future relationship and the value Oracle can provide. This type of scenario lends itself to a mutually respectful and productive relationship for both parties.